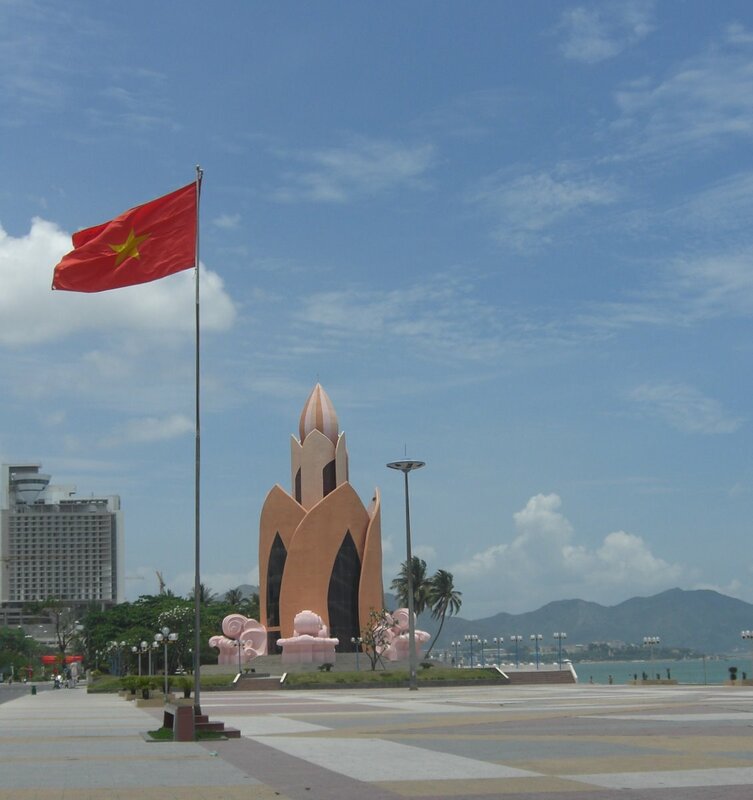 After my angry journey on the Reunification Express, I made it to Nha Trang. My first mistake was not negotiating a xe om (motorbike taxi) from the train station to the hotel. I figured I could walk 2.5 km with the heavy as backpack (which I had to keep in rollerbag mode as my shoulders were too burned to use it as a backpack). However, I didn’t know the road was being dug up so had to carry it by the handles quite a bit. I checked into the Phu Quy Hotel at $12 a night, then immediately had to change rooms as the window did not close! A beer later and I was asleep! The next morning I made a Skype call to Dad (by the way, Skype with a subscription gives you an online number, basically this is a landline phone number people call and it reaches you on Skype. Very handy when they only have their mobile)… then I headed out. This spot is the premier spot for diving in Vietnam. However, I don’t dive (yet) and didn’t feel that well, with the sunburn too, I thought I had enough excuses to save the money. 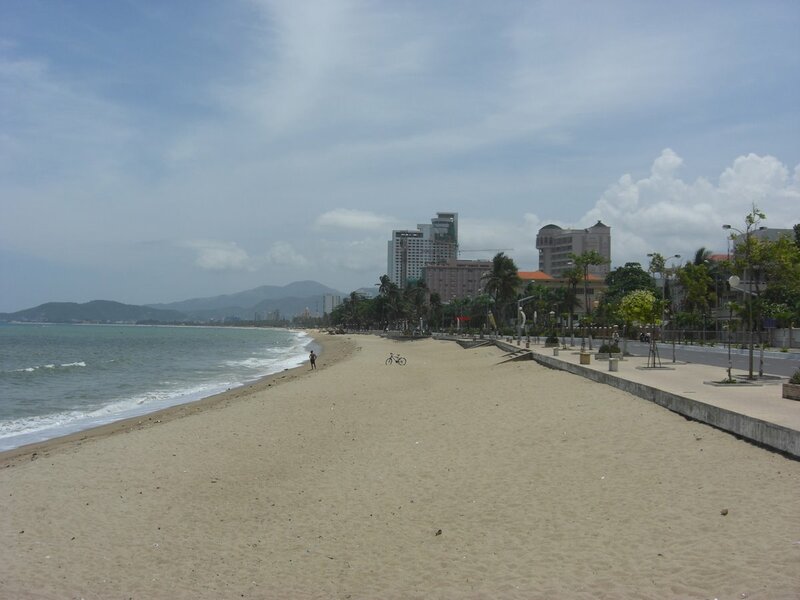 I explored the beach a fair bit and had a great lunch, then I headed south hoping to reach the afformentioned cable car, but hadn’t reached it in 30 minutes so headed to get some more Bia Hoi. I got talking to an Irish/Australian computer consultant and ended up drinking 3 jugs of the stuff. I then had to sober up fast as I was making more Skype calls home as it was Easter Sunday. I then went out and got some Mexican food for dinner, after that I went barhopping but didn’t find one that was particularly friendly. However, the Lousine Brewhouse does great beer! 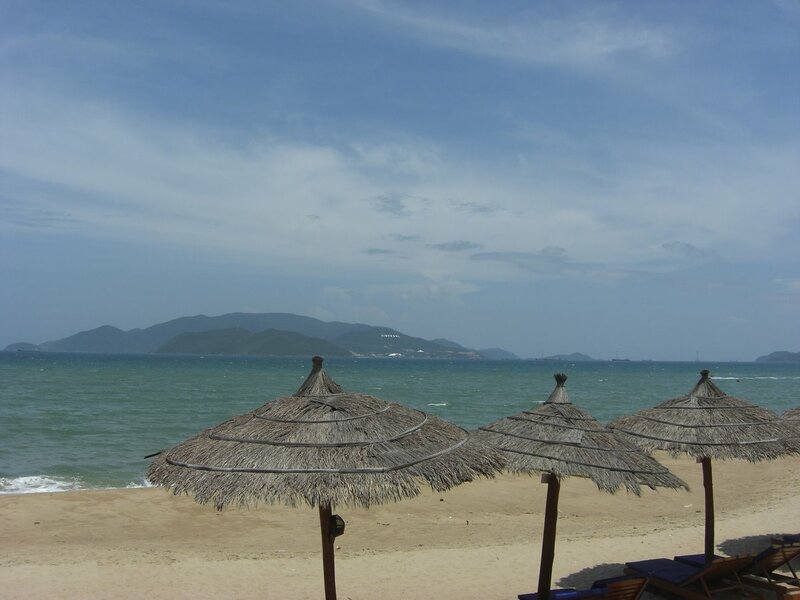 The thing about Nha Trang is that it’s mostly a beach resort at the moment, good fun if you want that sort of thing but I didn’t fancy staying too l0ng. So the next day I went to the Bus Station, bound for Dalat.